I realize I've been lacking in the posts department but there's good reason for it! For one, my life does not revolve around the internet. And for reasons two, three and four: Zeke, Zeke and more Zeke. 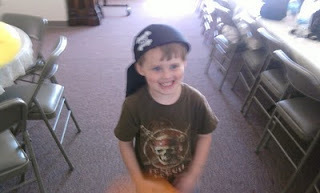 His birthday was Friday, his pirate-y birthday bash was Sunday and he started school Monday! The pirate party was a rousing success and lots of fun was had by all. 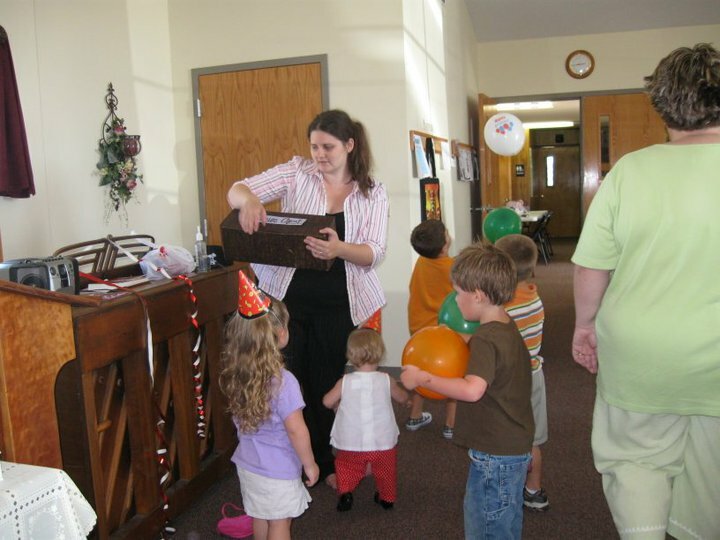 We had all manner of pirates show up in their pirate attire - hook hands, eye patches, pirate hats, parrots, bandannas - and a treasure chest full of loot for all the kids to plunder. I also have to add that having it at someplace other than my house was VERY nice. It was a bit of a pain to haul everything there but clean-up was a breeze and my house wasn't filled with trash or party stuff, other than all the presents we brought home obviously! Zeke did get a bit overwhelmed once or twice during the party but that's bound to happen when you're little, you've had too much sugar and there's tons of people around you. He got lots of very cool presents - his favorites were probably the giant pirate ship and the Toy Story chair from my parents and my hubby's mother respectively. Actually, his little sister liked the chair so much (she sat in it most of the afternoon) that Grandma ended up going and getting her a Princess one! It was really nice seeing most of our family and friends at the party and visiting with them. Zeke told me he had a great day and he passed out that night right after I put him to bed so that's always a good sign! As I also mentioned, we started kindergarten on Monday and everything's gone pretty well so far! I'm realizing a lot (already!) about Zeke's learning style and the ways he is able to work best. He seems to get bored with coloring pages super fast - I already knew that he was not a huge fan of coloring but he also seems to get easily tired of worksheets or printouts. He's more of a hands-on kind of kid, that wants to be constantly doing something or going someplace or trying something new. He's also much more of a visual learner - pictures and interactive things help him a lot more than me just telling him or giving him a paper on something. His learning styles may change as time goes on but for now I'm trying to find things that can get him moving and involved AND hold his interest. I'll keep you updated on things as time goes on!